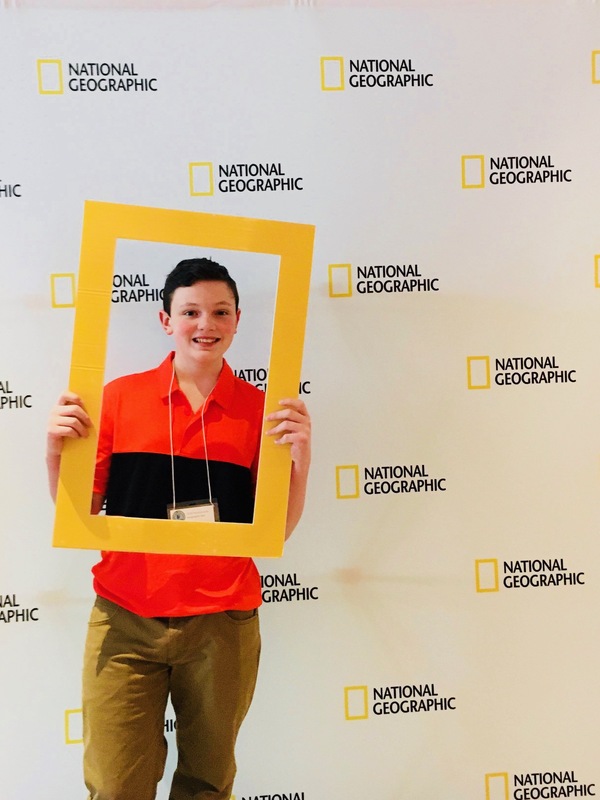 Congratulations to Butler Catholic School eighth grader Danny Orsborn who competed at the 2018 National Geographic State Bee on Friday, April 6th at The State Museum of Pennsylvania in Harrisburg. Danny won the Butler Catholic School GeoBee in January, and advanced to the State Finals. In Harrisburg, Danny competed against 100 students from across the state of Pennsylvania, and made it to the final round of competition as the 10th top scorer. Question 1: What was the experience like competing at the Geography Bee? Danny: It was a very fun experience traveling across the state to compete. I learned a lot from other people that competed, and I also learned that I knew more than I thought I would. National Geographic made the competition very special and gave away free merchandise. I would definitely do it again. Question 2: What was the hardest question you were asked? Danny: In the round where they asked me questions about cities, they asked me “in what city is a high speed railway being built to Singapore?” I answered Kuala Lumpur, and that was the correct answer. Question 3: How did you prepare for the competition? Danny: The key to being prepared is finding an interest in what you are studying for. This really helped me when studying for the Geography Bee because I have a great interest in history and geography. Question 4: What was the key to getting the hard questions right at the competition? Danny: It is very important to focus on the question and break it apart so you can find the hints in the question. This really helped me to answer questions about national birds and ecology because they were much harder than most of the questions. Question 5: What was your day like? Danny: The day was very fun. I arrived at the state museum of Pennsylvania early in the morning where the competition was being held. I then had to register and go to a meeting for the competitors. After that, I went to the auditorium for the preliminary round and got a perfect score in that round. I had a short break and then had to compete in a tiebreaker, which I passed. I then went on to the Final Round, and was one of the last 10 competitors remaining. I eventually missed a question and was eliminated. I had a great experience and recommend doing the Geography Bee to anyone who is interested.